My name is Chizoba Ofoegbu. I am from Imo state, Nigeria. I am 25 years old and have graduated as a Chemical Engineer from the Institute of Management and Technology Enugu, Enugu State, Nigeria. I am one of the participant in August Academic Boot Camp 2009. And I will never forget the academic and moral knowledge I acquired during the 2009 August Academic Boot camp. During my Ordinary National Diploma (OND) programme in school, the computer skill I acquired helped me to source information on net whenever a project or an assignment was given to me and most of my class mate paid me to help them with the assignment because they can’t operate computer. Also, during my OND a final year student in Enugu State University of Science and Technology named Paschal paid me to type his project for him in his computer. After that I went for my Industrial Training (IT) at Triton paint in Lagos Nigeria where I was singled out as the best student among the IT students in that company just because of the computer skills I gained at Inwelle Study and Resource Centre. Sometimes I helped them in producing label for the various Paint produced using MS-Word application and apart from the transport they usually give to the IT student, I was also given extra money for my services and half bag of rice at the of my stay there. Also the company promised to employ me after my studies. At the end of every semester, I usually went to my God mother business center at Onitsha Anambra State, Nigeria, where I assisted her in typing and photocopying document for people. And she paid me at the end of every week. From that, I saved money to pay my tuition for the next semester. 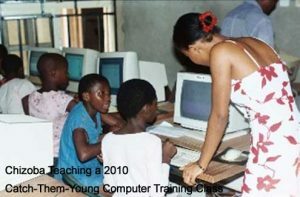 I strongly believe that the computer knowledge I acquired at Inwelle Centre, free of charge, will help me to secure a job quickly in Nigeria because most of the establishments in Nigeria require people that are computer literate and already I have been securing temporal jobs with the skill. 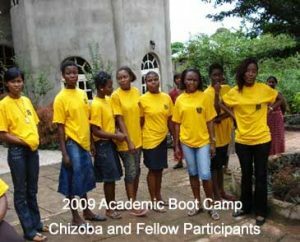 I had my August Academic Boot Camp in 2009. I learnt new things, I made new friends and my academic and computer skill improved more after the boot camp. MY IMPRESSION ABOUT SCIENCE AND TECHNOLOGY.. . At first, I taught that Science and Technology field are meant for males to study and that if any female should go in to that field, it would be to become a nurse or doctor etc and not an engineer. The reason is that I taught that Science and Technology field is very difficult and there is a slim chance for a female to survive in such a study. I also believe that studying in the Science and Technology field is very expensive. 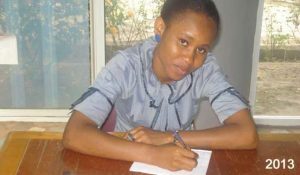 WHY I LIKE CHEMICAL ENGINEERING…Firstly, I was I inspired by Inwelle Centre Direct, Professor Christiana Okechukwu who made believe that I could succeed in Engineering field if it is what I want to study when I confessed to her that I would have loved to be an engineer but I didn’t think I could succeed. She also brought a teacher that taught us how to study effectively and succeed in our academic life. I am married, and I have two children. I can say that I owe it all to Inwelle Study and Resource Centre. In 2007, an adolescent girl walked into Inwelle Centre, looking for a friend who was using Inwelle Centre library. Curious about the activities of our Project Success, Chizoba begged to be allowed to participate. She was idle, unprepared academically, and marginalized. She did not pass her exam to get into a higher institution. 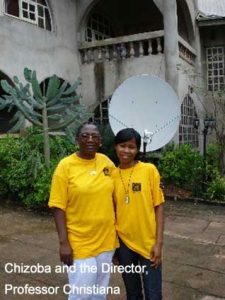 After participating, she became so interested in Inwelle Centre activities that she volunteered to work for Inwelle Centre. 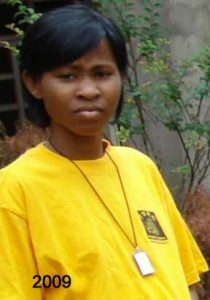 In 2009 she joined our Academic Boot Camp where she was given computer skills and the academic preparedness she needed to get into a higher institution. That year, she was the best boot camper. 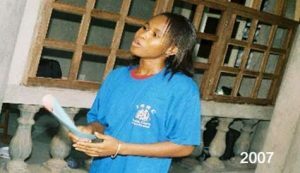 After the boot camp, along with 85% other boot camp girls, she passed her exam and succeeded in getting into a higher institution. She used her I.T. skills to work and go to school at the same time while still volunteering at the centre. As a volunteer at Inwelle Centre, Chizoba successfully supervised many youth empowerment projects, assisted in doing other office work, gathered indigent children and youth to teach them how to operate computer and how to perform in other subject such as Mathematics and integrated Science. She received a Higher national Diploma (HND) degree in Chemical Engineering in September 2014 and is highly skilled in I.T., thanks to Inwelle Centre training. She faces a bright future. 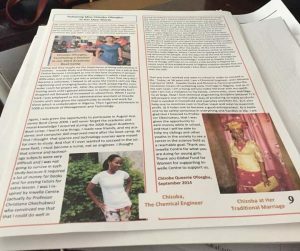 Chizoba debunked the held attitude that she could not develop the financial muscle required to pay for her education in the science and technology field herself. Her father, who was not on board initially, is now one of our ardent supporters. That is what Inwelle Centre is about–leveraging young girls to reach their potentials and creating awareness in parents that girls deserve the chance to grow into fulfilled adults.